+ Jane Wanless, eldest of 8 offspring of Archibald and Mary Wanless, born 19 September 1787 at Barrow, Alwinton, baptised 23 September 1787 at Harbottle, Northumberland, died 27 February 1841 at Carlecroft, buried in church graveyard, Alwinton, Northumberland. Matthew Anderson and Jane Wanless were married on 28 June 1810 at Alwinton and their eldest son John Anderson was born in 1811 away from Coquetdale at Birdhopecraig near Otterburn at the Presbyterian ‘Birdhope Craig Scotch Church’. 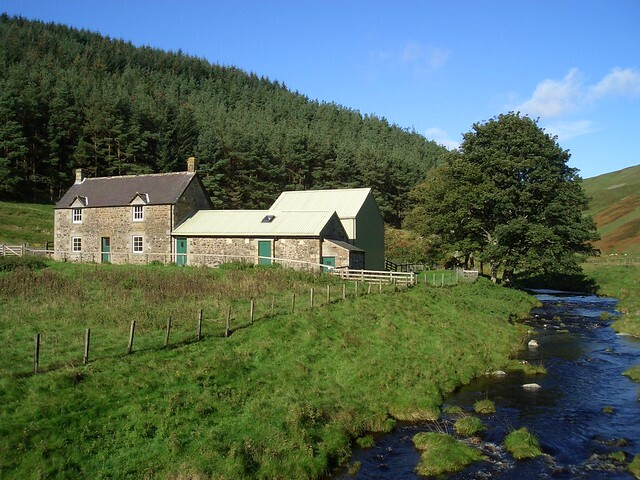 On 26 Jan 1813 their daughter Mary was also baptised at Birdhopecraig (source ancestry.co.uk). So it seems as if Matthew and Jane spent the first few years of their marriage in the Otterburn area, maybe with Matthew’s brother Ephraim at Silloans. Their eldest son John was living at Silloans in the 1841 and 1851 census returns. 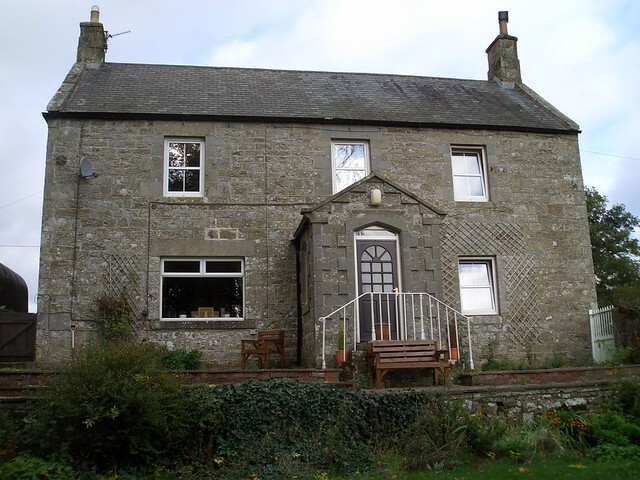 By 1815 Matthew and Jane had returned to Coquetdale as Archibald b1815, Margaret b1817 and Ephraim b1819 were all born in a small building at Lounges Knowe above Barrowburn. The baptismal records give their father Matthew as a shepherd. In 2006 there were no obvious remains of the building at Lounges Knowe. 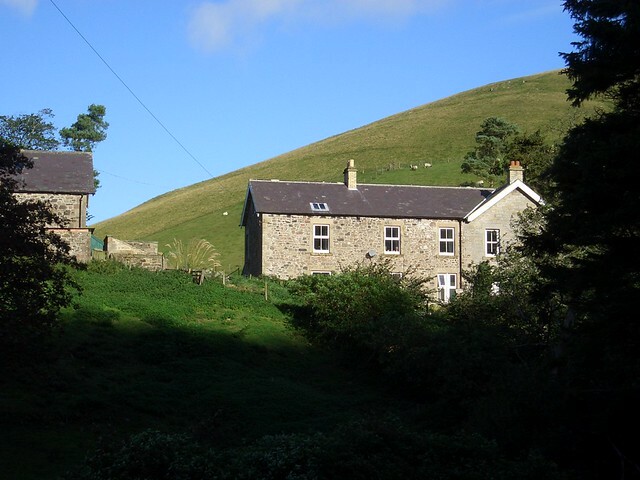 Matthew then moved further up the valley to Carshope where George b1823 and Jane b1829 were born. This may have given the family a better house to live in but due to a cobalt deficiency in the soil shepherds always struggled to make a living there. Locally the family were known as the “Muckle Andersons”. Matthew’s wife Jane died in 1840 at about the same time as their daughter Mary and they were both buried in Alwinton churchyard. Next year during the 1841 census most of the family were living at Carlecroft, higher up and on the opposite side of the valley. Matthew was living with the Bolams, his sister’s family at Bickerton; Matthew had been with another member of the Bolam family for the 1841 census. John, as in 1841, was at Silloans, near Birdhopecraig, with his uncle Ephraim. In his will Ephraim left the farm to a member of the Bolam family who was also living at Silloans. John was soon to marry Margaret Stokoe, daughter of a shepherd. Archibald had married Jane Patterson and was a cattle salesman in Westgate, Newcastle. There is the national registers there is a reference to an Archibald Anderson marrying Mary Clark at Bellingham in 1840, but this is a different, though related Archibald. Ephraim had married his cousin Mary Ann Anderson in the Rothbury registration district during the last quarter of 1843. By the 1851 census they had five children and were farming 122 acres at Well House, Little Harle. 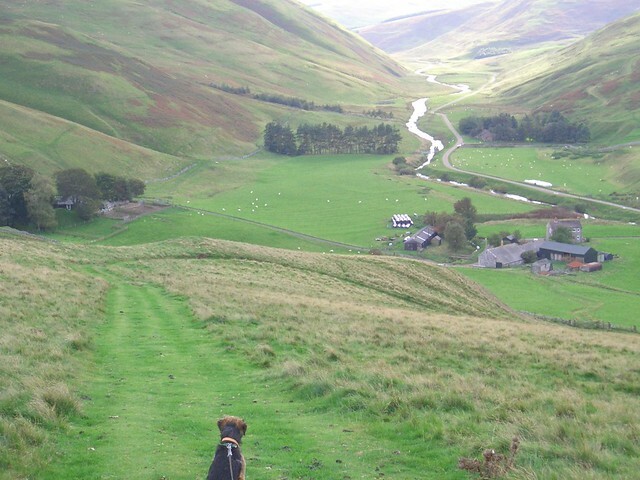 George had married Catherine Lamb and farmed 380 acres at Old Town, Troughend. Margaret and Jane were “daughters to head of household” (ie Matthew) at Carlecroft with James Cowan(s) who was to marry Jane. 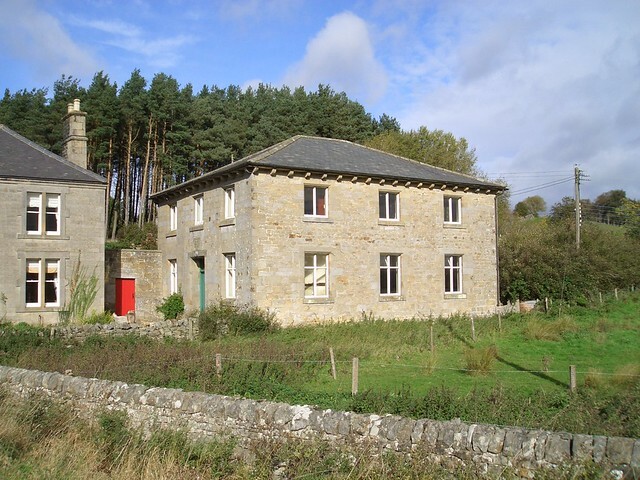 Before the family moved to Ireland John Anderson, on 30 April 1853 married Margaret Stokoe b1828, a shepherd’s daughter at Birdhopecraig Chapel to the west of Otterburn. In the 1851 census Margaret Stokoe’s parents lived at Bellshieldburnfoot while Margaret was working at Silloans where John Anderson lived. Birdhopecraig Chapel where John Anderson married Margaret Stokoe on 30 April 1853. Photo 2006, by 2015 converted to holiday accommodation.